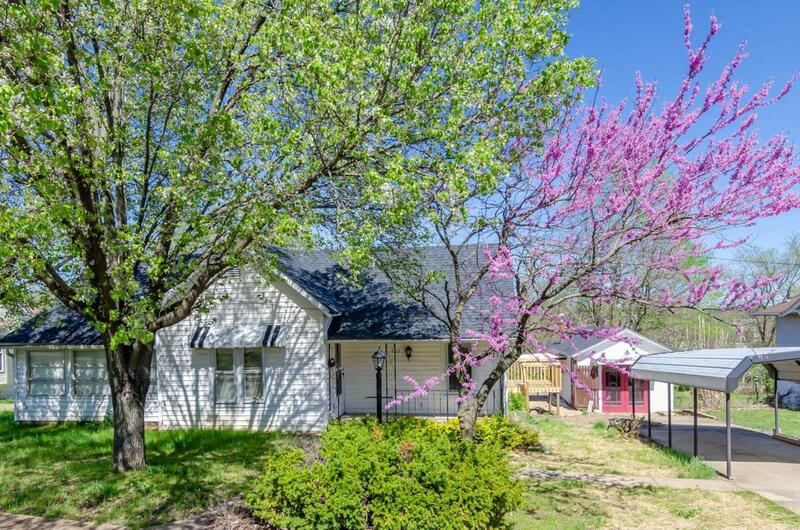 Great 2 bedroom 2 bathroom home in Park Hills. Nice open floor plan with updated flooring and paint! In addition to the living room and large bedrooms this home features a large separate dining room and two bonus areas! The kitchen cabinets have recently been painted and the dishwasher, range/oven, and refrigerator all stay! Outside you will find a nice carport with paved driveway with additional parking in rear from the alley access. A brand new deck leads you down to a large patio area great for entertaining. There is also a large 12x22 outbuilding/workshop great for a handyman or for additional storage. There is also a small cellar for storage or storm shelter. Updates include: Newer roof, newer flooring in living room and dining room, new paint, new deck, and new sewer line! Call for a private showing today! Listing provided courtesy of Dynamic Real Estate. Listing information © 2019 Mid America Regional Information Systems, Inc.